A client just spent $800 at your clinic. If she hadn’t understood the value when she was there, she never would have said “yes” to your recommendations. We are in a unique industry. Our ultimate customers, the ones who receive our services, play no part in deciding whether to see us, pay for the visit or recommend us to their friends. That’s why pet owners matter. Without their saying “yes,” we can’t perform to our oath: Always do what is best for the pet. When I hear “compliance,” I think of all the choices the human makes for the pet. Are the choices in line with what we feel is best for the pet based on our years of training and experience? Compliance starts with the client calling us with questions or concerns. If clients go to neighbors or the internet first, they are not compliant. If they choose to “wait and see,” they are not compliant. I know all this is different from how we often think of compliance — how many cats with dental disease get a dental prophy performed? — but I believe the biggest gap in compliance is non-contact with the experts in the field: the veterinarian and team. Clinics that do not have a standard set of recommended medications. Can you explain why you endorse them? Clients who don’t know what to expect. A poor client and pet experience. A lack of engagement or perception of value. Does everyone in your clinic have the same answer regarding flea and tick preventives? When a client asks, “What should I use?” is there a universal answer? I know we are all different and have different opinions on many subjects. I am not recommending we go to complete protocol medicine; there is an art to veterinary medicine and we need to preserve it. What I am saying is we need a consistent message. If one doctor recommends a topical and another doctor tells the owner, “I would never use a topical,” we create confusion. If you do not feel this is an issue in your practice, ask your clients or team — they will tell you. The lack of consistent messaging creates doubt in the mind of pet owners and often leads them to seek another opinion. Creating standards takes time and effort. I recommend you involve every member of the team. Do your clients know what to expect when they come see you? I have spent over 40 years in veterinary hospitals. They are very comfortable for me, a second home. Few clients feel the same way. They worry about the diagnosis, whether they will be late to pick up their child, whether the dog will urinate on the floor, how much everything will cost. A substantial portion of the fear is based on the unknown. We cannot resolve all their fears — I do not know if the dog will urinate on the floor — but we can do a better job of setting expectations. It’s as simple as telling a client booking an appointment for a preventive care visit that “Dr. Brown will do a complete physical exam, update vaccines, perform routine diagnostics, and discuss the best flea and tick preventives for your pet.” Sounds simple, but it’s impactful. Some interesting technology coming out soon will provide clients with a cost range before they contact the clinic. I recommend you look at every reason a client comes in and think of how we, in a simple manner, can prepare them for what to expect. This is a big one. Look at the impact Dr. Marty Becker’s Fear Free concept has had on the veterinary industry. Fear Free is a major contributor to breaking through the compliance barrier. The better the experience for the client and pet, the more likely clients will say “yes” to our recommendations. Do we spend more at a restaurant that has an engaging server? Customer service matters. Without great customer service, we cannot get great compliance, and ultimately, we will not do what is best for the pet. This is true in all veterinary practices, from wellness centers to specialty and emergency hospitals. I recommend that you and your team spend time at a high-end resort hotel that understands customer experience. Treat your customers like they are walking into a five-star resort. Be aware of the time commitment. Have no sticker surprises — provide cost estimates. Do not talk in big terms. Small additions can make a clinic go above and beyond, too. I had enormous success with clinic-baked chocolate cookies; they fit my clinic culture. I recently was in a hospital that gave a bottle of local wine to new clients. Be unique and know your customers. An exercise I did every two or three months in my practice was to walk through the customer journey, all the way from the initial phone call to the parking lot, lobby, exam room, checkout and follow-up. Every practice can do better. Think outside the box. Look at other industries. Why is Apple one of the highest-rated companies in customer experience? It is often the little things: the iPad you purchase is already charged, the team knows the product well, there are no sticker shock add-ons. 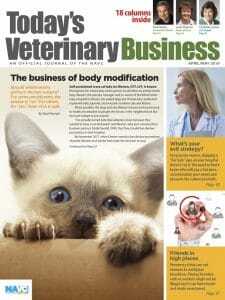 How do you become the Apple of veterinary medicine? A client just spent $800 at your clinic. If she hadn’t understood the value when she was there, she never would have said “yes” to your recommendations. The big question is, did she understand the value enough to explain it to her non-medically educated partner or spouse? If pet owners do not understand why they spent what they did on their pet and can’t explain it to their friends and family, we will see a loss in future compliance. Every interaction we have with a client has a next step. This is true for a diagnostic panel for NSAID monitoring, a first puppy shot and a prescription for a flea preventive. Why a client is compliant with the next step is based on a deep understanding of the “why?” “Because the doctor said so” no longer resonates with the clients of today. Our job is to do an excellent job of explaining the “why?” For me, I have utilized technology. When you dispense a box of flea preventives, use a video or images to show why it’s the best product. This is true for everything we do — show pictures, graphs and videos. Your objective should be to give enough information on the “why?” so the client can explain it at home. If she can’t, future compliance is at jeopardy. Many doctors I speak with have decided to let online and box stores take their business. I do not agree as this approach results in the veterinary industry losing control over many aspects of our business, leading to non-veterinarians determining what is best for a pet. Having a unified message for our clients, explaining why we recommend a product, using a pricing strategy and being committed to great customer service often stops clients from searching the internet for the best price on preventives. 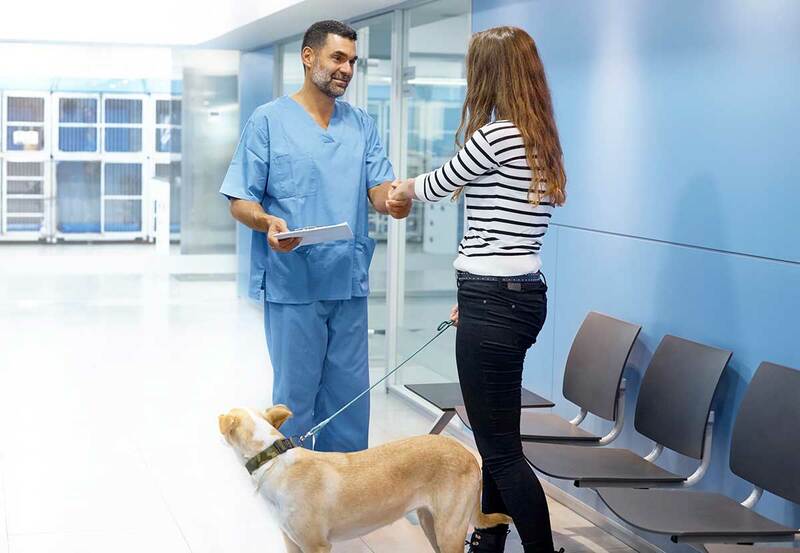 If your standard of care is 12 months’ coverage for every pet and you see the pet every 12 months, there is a compliance gap when you do not dispense all 12 months of product at once. I have two solutions: provide a large discount if 12 months of product is purchased at the visit, or utilize home delivery. Both work and should be offered. The focus should be on providing 12 months of coverage. Our clients are different than they were 30 years ago. This is a profound change in our profession. A century ago, companion animal veterinarians did not exist. I vividly recall my parents, both amazing pet lovers, asking our veterinarian if buying a new puppy would be cheaper than fixing my dog’s fractured femur. I was 12. Fortunately, Bo got his leg fixed. Thankfully, that is not today’s pet owner. Our patients are our clients’ four-legged children. This generational change has allowed us to advance veterinary medicine in ways hard to imagine. Think of oncology, advanced imaging, specialty surgery. Would we be doing any of them if the client’s decision was based on replacement value? With the change in pet relationships comes a need for all of us to step up. We need to do a better job on sharing information and the customer-pet experience. Why do clients reach out to Dr. Google? Why do they purchase flea preventives from a non-veterinarian? Because they want information immediately and do not see the added value their doctor provides. The veterinary profession needs to fix all this. The Veterinarian’s Oath is, “I solemnly swear to use my scientific knowledge and skills for the benefit of society through the protection of animal health and welfare, the prevention and relief of animal suffering ….” We are dependent upon compliance to satisfy this oath. If you focus on compliance, pets will be the big winners and your practice will thrive. Dr. Peter Brown is chief veterinary officer of Cara Veterinary, a Denver-based network of family-owned veterinary hospitals.